Jousting Curious about jousting? 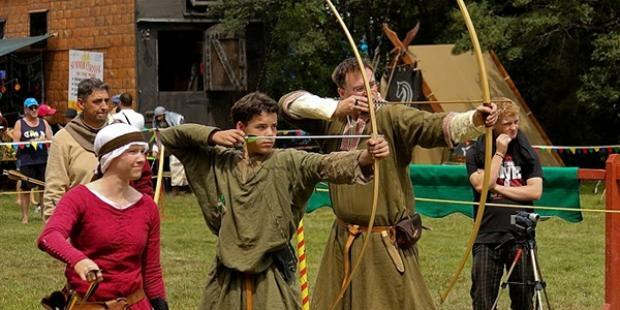 Learn about this amazing sport. The weapons are real. The action is real. 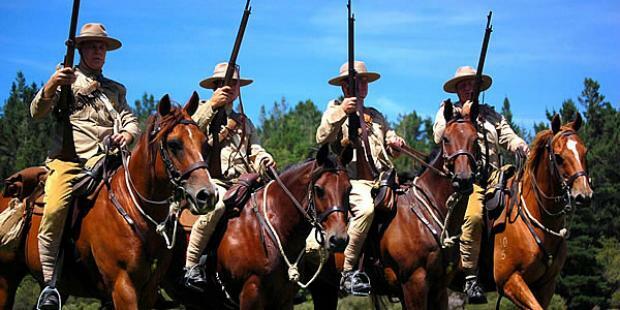 From the full force, full contact medieval joust to the discipline and grit of the early 20th century New Zealand Mounted Rifles, The Order of the Boar is New Zealand’s own cavalry re-enactment group. We are a non-profit group that specialises in recreating various aspects of history emphasising the role of the horse and rider. We portray our activities at public displays throughout New Zealand in support of community events and charitable fund raisers. 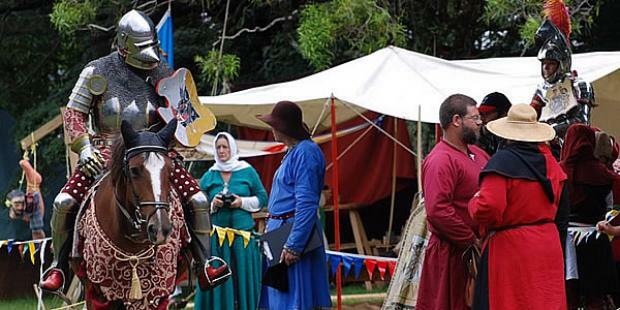 While we have a particular emphasis on the medieval period, we also portray the role of the horse in military history. So in addition to the medieval period, we also portray 16th Century Border Reivers and First World War New Zealand Mounted Rifles. We pay particular attention to horse welfare while also portraying our activities as historically accurate as possible. 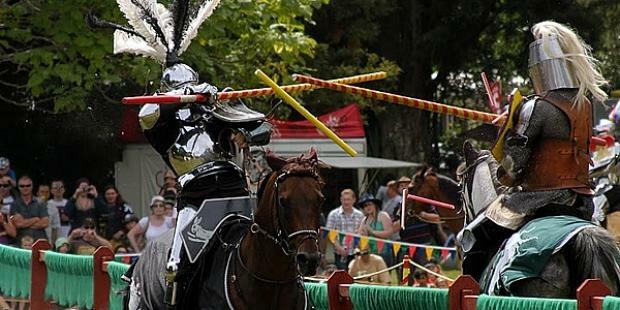 We are also well known both locally and internationally as one of the pioneers in rediscovering the art of medieval jousting and its development as a modern sport both in New Zealand and around the world. The Order of the Boar is sponsored by The Red Knight - New Zealands own online provider of functional medieval armour and other fine handcrafted products including drinking horns, hand made journals and walking sticks among others. As regular visitors to this page know, we are in a rebuilding phase. We are in-between generations of horses at the moment. All but one of our original team of warhorses that carried us through 2000 - 2015 have been retired from jousting because of age. We have several new horses undergoing training and last month at our annual national training weekend we made great progress with our newest horse Rocky. We are running another workshop this coming March where we hope he will be able to run joust passes against our other active jousting horse Monty. 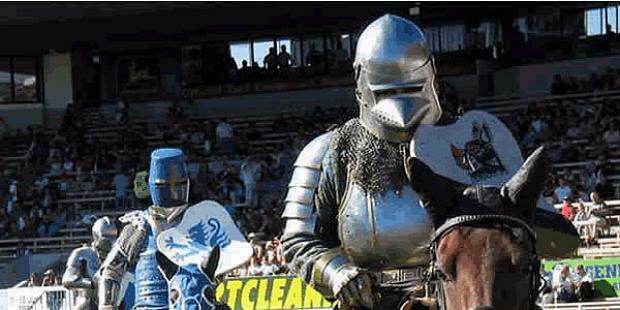 If this goes well we will be in a position to run small jousting displays again! 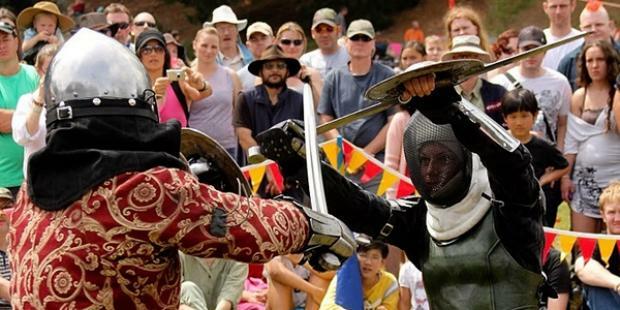 We get a few inquiries from people about our group, how to learn to joust etc. So we thought that we would describe the roles within our group. Rider - If you want to learn to joust or do other riding in our group you need to be an accomplished rider with your own horse. Sometimes we have the capacity for a non-owner rider who pays a monthly fee towards the upkeep of our horses. At the moment we do not. Foot Crew - If you want to support our activities from the ground and learn how to care for horses this is a very important role in our group. It is also the starting point for people who want to eventually become riders as all riders also need to be fully capable of working from the ground.